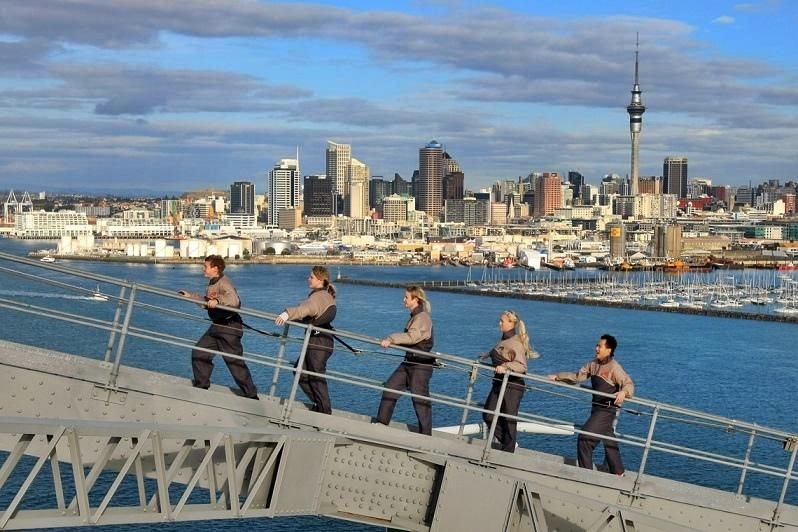 Only AJ Hackett Bungy can offer you this level of access to the Auckland Harbour Bridge; and this is the one and only Bridge Climb in New Zealand, coming complete with your very own tour guide. Lasting for 1 1/2 hours, this climb will have you wondering whether to look at your feet or focus on the spectacular views. Custom engineered walkways provide a safe, enjoyable and easy-going experience while you enjoy Auckland to the fullest with 360 degree views from the summit. Pregnancy: Sorry ladies but once past the first trimester you can not take part in this activity.